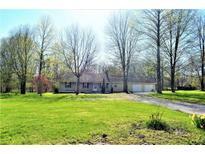 Find Martinsville, IN Homes for sale. View Photos, Maps and MLS Data Now! The basement has a wine cellar in for storage of your favorite beverages or for making your own. MLS#21635522. Sadler Real Estate. Huge wrap around deck. Country living at its best! MLS#21635655. 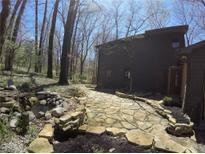 Mentor Listing Realty Inc.
Deck & covered patio overlook the pond. 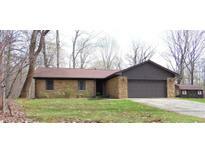 MLS#21632952. Weichert, REALTORS®. Plus, large pole barn with electric, storage barn w/electric & 2-car attached garage for all of your hobbies. Home warranty attached! ! MLS#21633612. Carpenter, REALTORS®. Coming soon! MLS#21633703. Carpenter, REALTORS®. Foxcliff Estates - Relax, newer roof for peace of mind. MLS#21633225. Jeneene West Realty, LLC. Make this piece of paradise yours! MLS#21632998. Keller Williams Indy Metro S.
Hickory Springs - Attached storage on rear of 3C garage. Home warranty. MLS#21632302. F.C. Tucker Company. Asphalt Driveway less than a year old,Newly remodeled Master Bathroom, Kitchen -granite countertops, under mount lighting and travertine backsplash. MLS#21632684. Keller Williams Indy Metro S.
Waverly Woods - Every hour-every day... you'Lower Level be glad you bought this home. MLS#21631766. Keller Williams Indy Metro S.
Bring your imagination and come take a look. Municipal water is available. 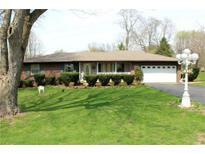 MLS#21632294. Keller Williams Indy Metro S.
Home does have an over-size parking lot with tons of parking for guest or clients. MLS#21632127. Carpenter, REALTORS®. 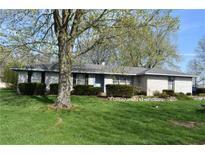 Woodcrest - Minutes from schools, hospital and shopping and 20 min to airport or downtown Indy. Great location. MLS#21631779. Keller Williams Indy Metro S.
Enjoy evenings on your own personal dock! MLS#21629653. Keller Williams Indy Metro S.
Foxcliff Estates - Formal dining room, office, Recreation and bonus rooms, huge great room, updated kitchen, sunroom, fireplace, large garage, yard equip garage, and tons of storage...Perfection! MLS#21631519. Keller Williams Indy Metro S.
Great place to raise a family. MLS#21631404. Front Porch Real Estate, LLC. Additional parking available off the alley. MLS#21631431. Highgarden Real Estate. Foxcliff Estates - Main level has access to large porch for entertaining or go to lower level covered porch for a little more privacy. MLS#21631273. American Dream Real Estate. Large backyard with a patio! Must See! MLS#21630258. F.C. Tucker Company. Seller is including a 1-year renewable home warranty for peace of mind. DON'T MISS THIS ONE! MLS#21631242. Carpenter, REALTORS®. Don't rent when you can buy and pay less. MLS#21631304. Keller Williams Indy Metro S.
Lake Edgewood - This Property Includes Lot 120 and Lot 121! Come See This Home! MLS#21631087. United Real Estate Indpls. Walking distance from the new down town eateries & shopping! MLS#21630955. 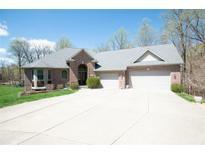 Keller Williams Indy Metro S.
Two car attached garage and ready for immediate possession. MLS#21630312. Carpenter, REALTORS®.